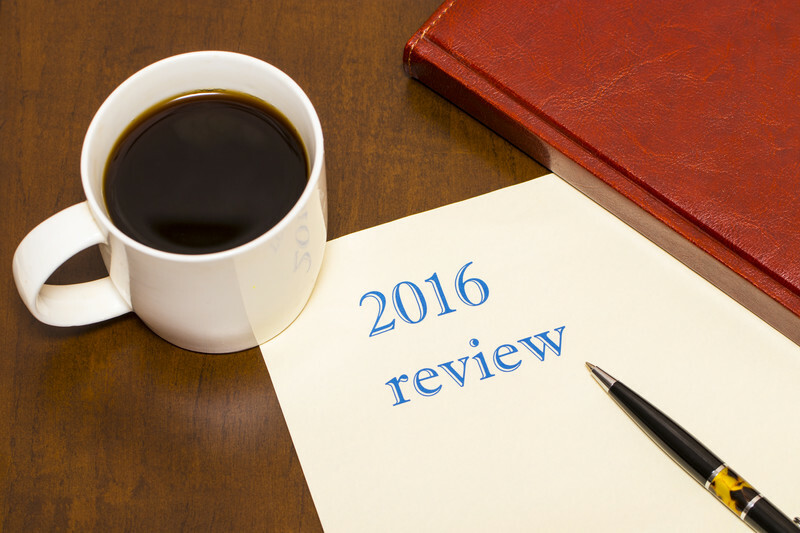 2016 proved to be another solid year for Texas home owners, sellers and buyers. Here in Central Texas, home values continued to climb to record numbers as did the total units and dollar volume sold. But with change hanging over heads all year long, it’s little surprise to see some rates of change slow to a more “normal” market, as yours truly projected last January. 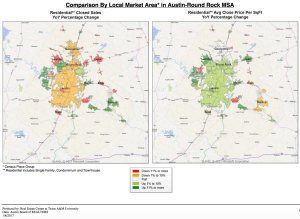 This time last year the Austin Board of Realtors reported that during 2015 the metro area saw 5% growth in terms of units closed and an appreciation rate of 8%, and citing it was “primarily due to our region’s job and ongoing population growth”, Aaron Farmer -ABOR president 2015. The Austin metro area has been fortunate for quite some time in terms of the real estate numbers we’ve seen. Year after year has been record breaking with home owners seeing aggressive appreciation and home buyers finding themselves competing to win offers on existing housing. But now, after a crazy election cycle and a few interest rate hikes, 2017 is starting with a bit of a different feel. About that slowing pace. 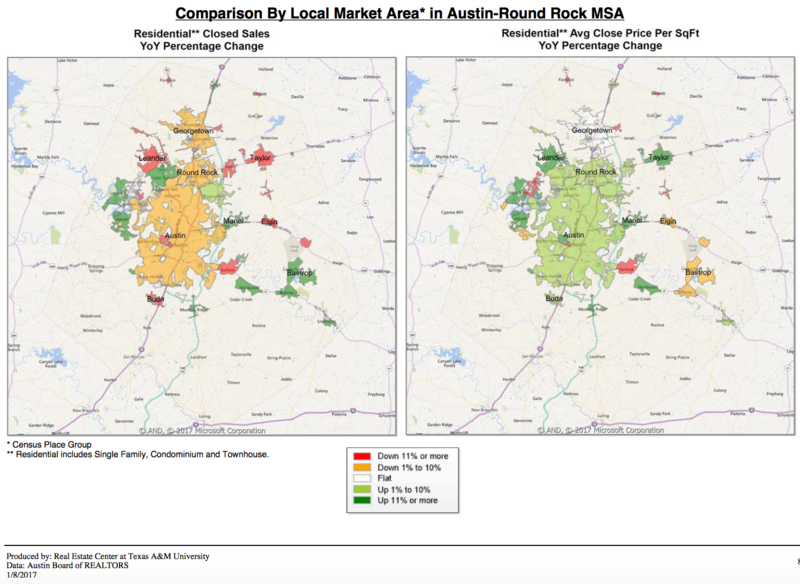 The Real Estate Center at Texas A&M (the mecca for all things Texas Real Estate) published a report saying that Austin Metro area saw home sale growth slide from 5% to 1% and price growth from 8% to 5.9%. However, that’s the area as whole. Digging in a bit more may surprise you. According to data I pulled directly from the MLS, Travis County saw the year-over-year increase in number of homes sold go from 5% in 2015 to 1.1% in 2016 and the growth in average price per home slowed from a rate 8% to 5.5%. Austin City Limits took an even more interesting turn moving from 2.1% growth in units sold in 2015 to a 1% reduction in 2016; and the growth in average price per home dropped from 8% in 2015 to 4.2% in 2016. To be fair, our market has been outpacing itself for quite sometime. I’ve often compared the market to car speeding at 80mph in a 55mph zone and to continue that metaphor, the metro area is still pacing at about 65mph. Further, for the past few years most economists have agreed that the 8-10% appreciation rate we’ve seen the past few years was not sustainable and in fact, most argued that we’d like to see that drop to around 4.5. Well in 2016, it did and for the most part, that’s GREAT! 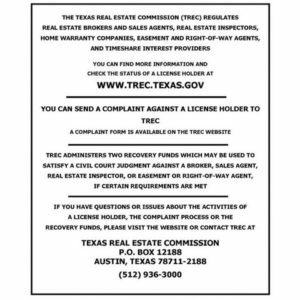 Let me be clear, the housing market in Central Texas, the local metro area and Austin looks quite healthy moving forward. If you are considering buying or selling, there is opportunity abound and I want to help you find it. Let me know if our team can be of assistance and let us help you take advantage of what is sure to be another stellar year in 2017! Selling Your Home In The Spring? Click Here For These Tips!